Well, this one is a MUST! There will be no wedding (left alone dream wedding) without a groom. Nah, I’m kidding. Since I’m, ahem, single, of course my first priority is having a groom. But if you already have a boyfriend or fiancé, go ahead with number 2! If not? Err.. Even me can’t give any advice, cause I haven’t found one. First thing first, is when? You need to decide when is the best time to marry your beloved one. Some believe that you and your significant one (SO) need to count your birth date to find the perfect date to get married. Or some prefer a date or days which is the most convenience for them and family to gather together. What kind of wedding do you and your SO want? Is it traditional? International? Where will the wedding venue be? Will it be a garden party? Or in a building? Outdoor or indoor? Back then, there’s no need to do pre wedding photography, but these days I believe it’s a MUST. Yes, it’s just nice and lovely to have you and your SO in pictures together displayed in your wedding as decoration or in wedding gifts, right? This one, you, I mean, me, can’t miss. As a beauty junkie, of course I want to look BEST in my own wedding. I need to be perfect. I will be a one-day-queen there. And I can’t just choose anybody to do my makeup. I need someone trusted, and professional. If you want to have traditional wedding, it’s even more complicated. Not every makeup artist can rock traditional wedding makeup. And if number 1-4 are mainly for you and your groom-to-be, this one is mainly presents for your guests. I’ve heard hundreds of complaints from wedding guests about the bad food or bad service (lack of food or lack of manpower serving the catering). And I don’t want to end up like those wedding I’ve attended where guests are complaining. You need to find a quality catering service for your wedding. Seriously. 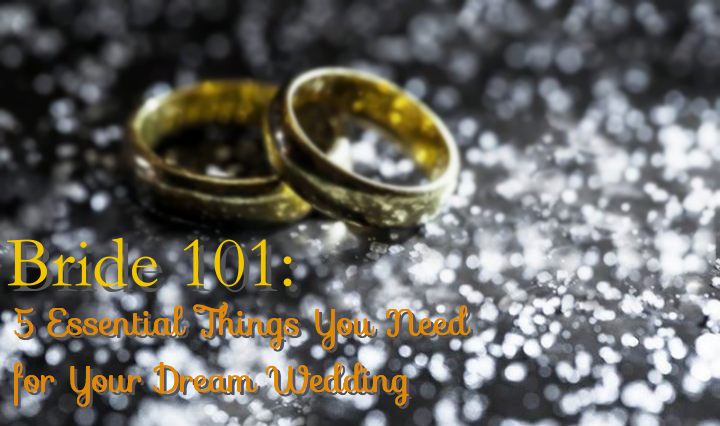 Okay, Those 5 things are top 5 things that you need to prepare for your dream wedding. But can you make it? I mean, can everyone make it? With time and budget constraints, can everyone have their own dream wedding? The answer is YASSSS. Have no time? Or maybe you want to compare wedding vendors to get the best price, with the best quality of service? Then you just need to type www.bridestory.com to your browser and GO! With its passion to make every bride's dream wedding come true and to help wedding vendors connect with engaged couples, Bridestory is a wedding site gathering wedding vendors in one. 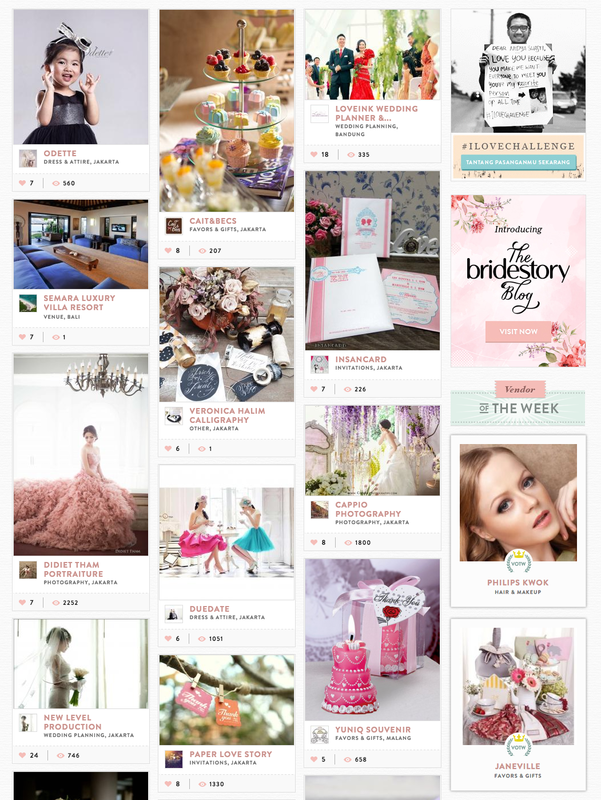 With Bridestory, you can find, select, and compare wedding vendors from 22 different categories! 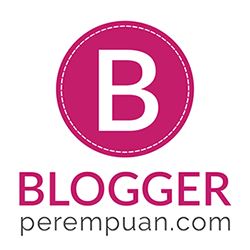 With its nice interface which reminds me of Pinterest (one of my favourite site! ), finding the right wedding vendor according to budget and location is so easy!